Come down to the woods, bring a teddy bear, listen to "We're going on a bear hunt" by Michael Rosen and Helen Oxenbury & enjoy your Apley packed picnic lunch. A packed picnic lunch is £7.50 for a child & £7.50 for an adult. If both the child & adult wish to eat, please buy 2 packed lunches. If you (the adult) do not want food, you just need to register with a no food ticket ofr just £1. 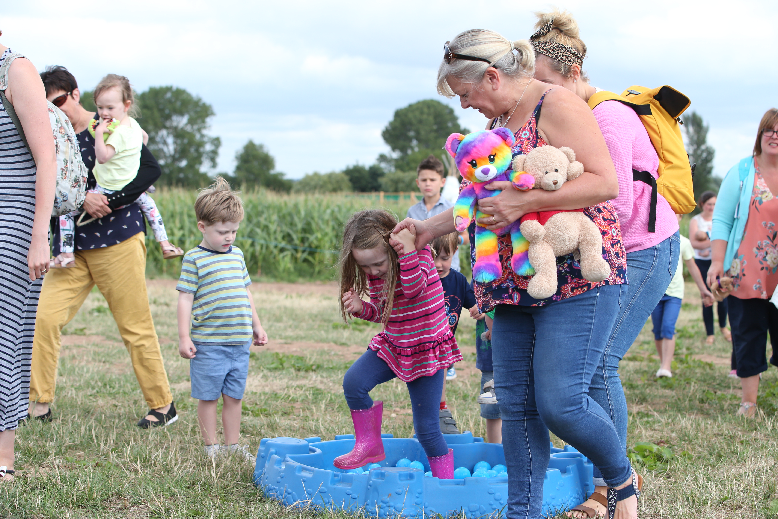 Within this price you will recieve 1 hr of fun activites & games with your pack lunch included + 1hour play in Pigg's Playbarn once we've finished our bear themed afternoon! All children must be supervised by a parent or guardian. Suitable clothing & foot wear must be worn as you will be walking down to the woods where there is an uneven surface, but easy accessible on foot. It can be bumpy for pushchairs. A professional photographer will be there to capture those perfect moments. Photos will be charged separately by the photographer.